Brands on Sale’s decision to open its factory outlet in Queens Street Campbeltown NSW presented some design challenges. One of the challenges was to ensure security was at the highest standard but not wanting customers and shop owners to feel like they are in prison. Folding Doors for café’s and restaurants are trending more than ever due to the new smoking laws being passed in different states. Bi fold doors as they are also known allow the customer the opportunity to be indoors with the feel of outdoors as well. KRGS’s products come in a variety of materials. One option is high performance tempered glass which offers excellent visibility and exceptional protection. Another option is polycarbonate, which provides remarkable impact-resistance in a surprisingly light package. 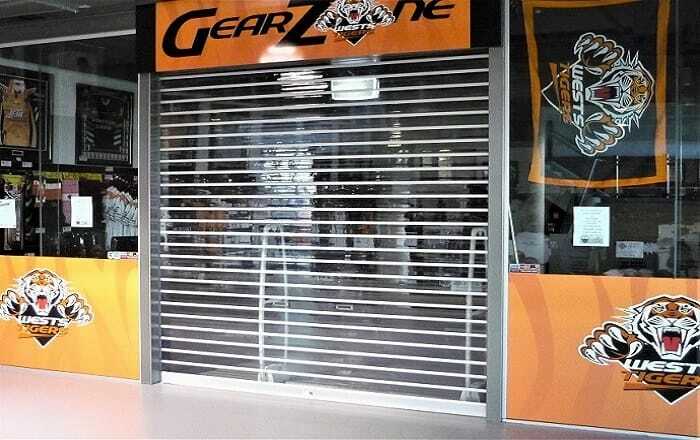 With the soaring temperature’s in WA it made sense that some of our clients installed Roller Grilles and perforated shutters in their stores, serveries, hotels and shopping centres. KRGS Doors is a leading Australian company operating Australia wide, with offices in Sydney, Brisbane, Melbourne, and agents in Perth, Northern Territory and Adelaide. KRGS implemented manufacturing techniques that set it aside from the existing manufacturers through its focus on producing a quality product that not only lasted longer than its competitors but also is easier to service and maintain.